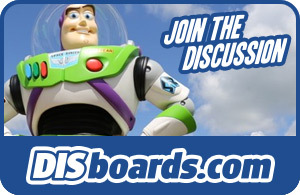 My Disney Experience is the ultimate planning tool for your Walt Disney World vacation. This is where you can book dining reservations, make FastPass+ selections, find out park hours, look at the wait times for attractions, and so much more! My Disney Experience combines all of your vacation planning into one convenient location that's accessible from multiple electronic devices. When planning a Walt Disney World vacation, you can use My Disney Experience on your computer, tablet, and even your smartphone. With your preferred device, My Disney Experience allows you to share all the exciting details you have coming up on your future vacation with the friends and family members who are coming with you. As long as everyone in your party is connected to My Disney Experience, you’ll be able to make the vacation plans for them! When your party is all connected on My Disney Experience, the vacation plans will be shared amongst the group! My Disney Experience is where you’ll customize your MagicBands. A MagicBand is a wearable device that you’ll use as your resort hotel key, your park tickets (with valid park admission), your FastPass+ verification, and you can even make charges to your room for merchandise and food at select locations. For the phone or tablet, you can get started by downloading the app, and on the computer you can get started at www.startyourdisneyexperience.com! 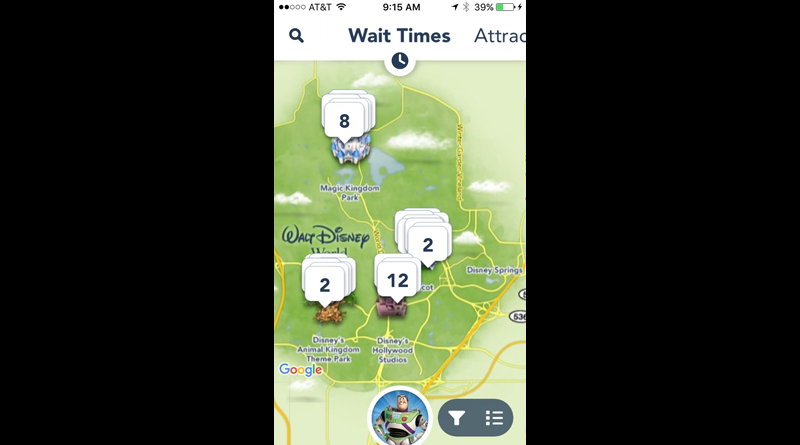 When opening My Disney Experience on a mobile or tablet device, it’ll open up to a map of Walt Disney World. Here you’ll find attraction wait times and descriptions, character meet-and-greet locations, dining options, restroom locations, entertainment information, events, tours, PhotoPass cast members locations, guest services information, hotel resort locations, recreation options, shopping, and spa locations. 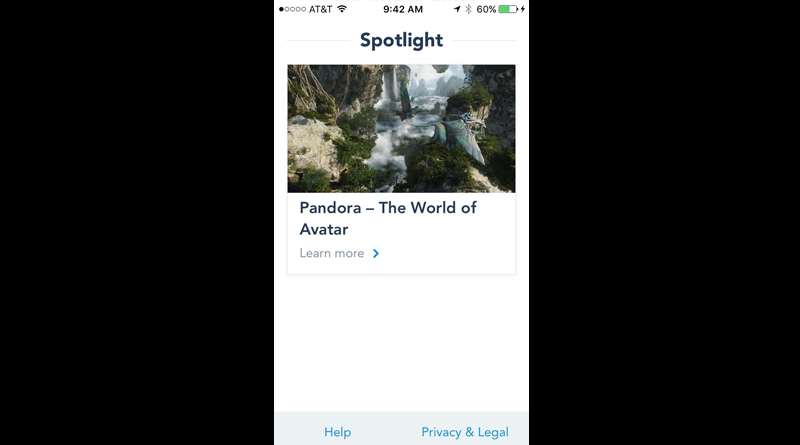 In this section, you’ll find your profile information including your name, birthday, the MagicBands and Cards linked to your account, your account settings, your contact information, communication preferences, payment methods, and if applicable, your annual passholder or Disney Vacation Club information. Here you’ll also find your friends and family lists. Here you’ll find all the showtimes for the parades, fireworks, and nighttime spectaculars, and of course shows! The park information including the regular park hours, the extra magic hours, and which attractions and shows are under refurbishment. 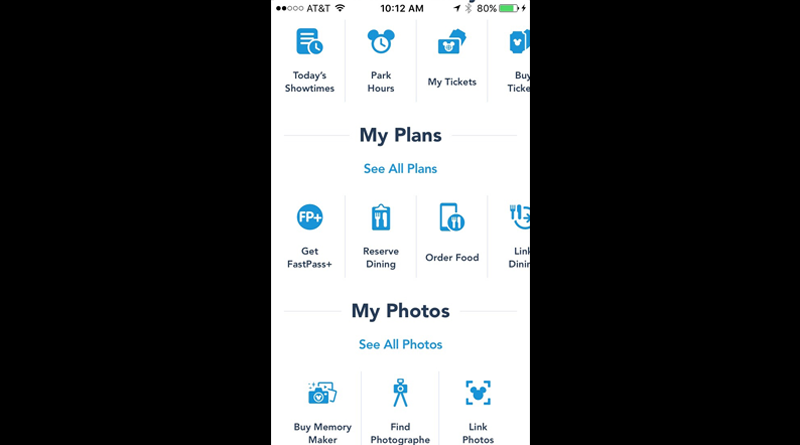 In the My Tickets section of the My Disney Experience App, you’ll find all the tickets that are attached to your account. Each ticket will include important information like when it expires and which days that ticket is valid for. 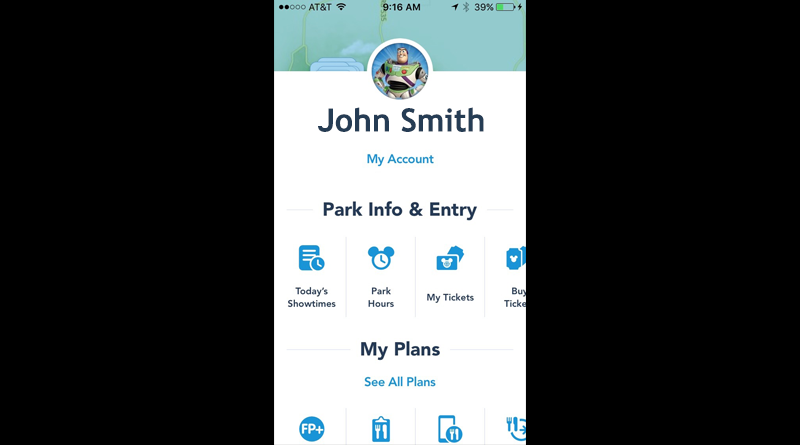 Buying park tickets is a fairly simple process on the My Disney Experience App. Step-by-step, you’ll select the number of days you’ll be vacationing, then the number of tickets, and finally the type of ticket (regular admission, Park Hopper, or Park Hopper Plus). Here in the Annual Pass Blockouts section of the app, annual passholders can find which days are unavailable depending on which type of annual pass they have. Maybe one of the most crucial sections of the My Disney Experience app is the Get FastPass+ section. Here you can select new FastPass+ times, look at reserved times, and even make some changes to existing FastPass+ reservations. Reservations at some Disney restaurants are a must, which makes this section of the app extremely important. After selecting your group size, when and when you are planning to dine, you’ll find a wide variety of available reservations at restaurants across Walt Disney World property. Disney is increasingly allowing guests to order their quick service food directly from the My Disney Experience app using Mobile Order Service. Currently this is only offered through select restaurants on Walt Disney World property. This cuts down on the wait times when ordering your food from the available quick service locations. If you or someone in your party has booked a dining reservation, but it isn’t showing up on your itinerary in the My Disney Experience app, you can link that reservation by using this tool. By simply plugging in your dining confirmation number and the last name on your reservation, it should automatically connect you to that reservation. 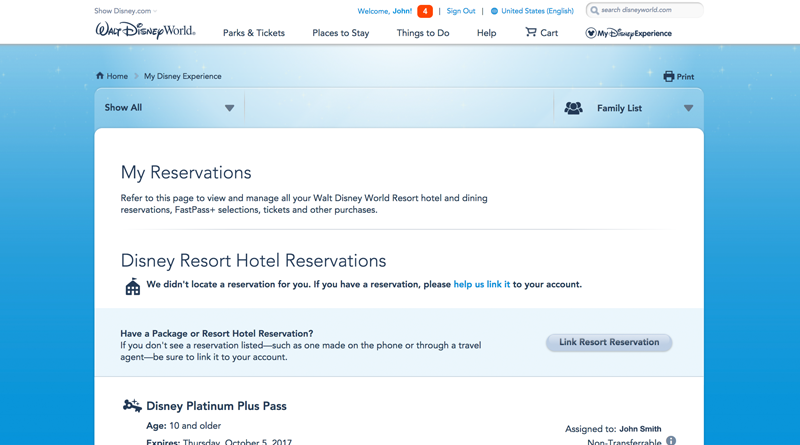 Similar to the Link Dining tool, the Link Hotel tool will allow you or someone in your party to link your My Disney Experience app to your party’s resort hotel reservation. Again, simply plug in the confirmation number and the last name on the reservation and then it should link your hotel reservation directly to your My Disney Experience app. This button will send a direct call to Disney’s hotel reservation center. 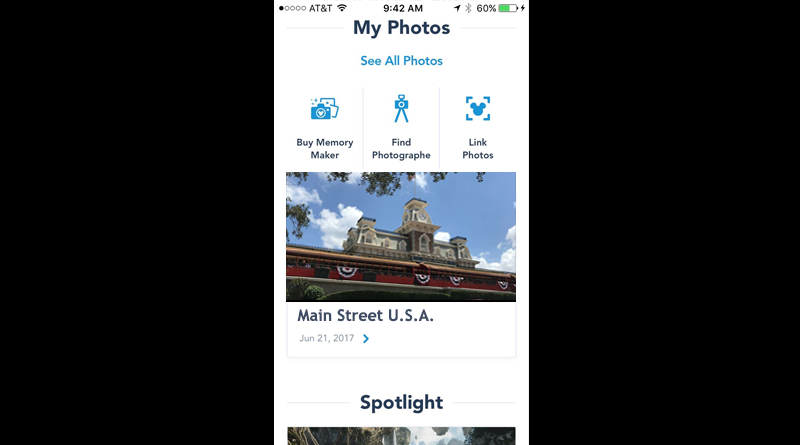 The My Disney Experience app catalogs all the PhotoPass photos that have been taken of you and your family throughout your vacation; that even includes ride photos! Here you’ll find those photos and so much more! In order to enjoy your PhotoPass photos without a watermark, you’ll have to purchase Memory Maker which includes downloads of all the pictures and videos that were taken of you and your family. The current price of Memory Maker is $199, but that is subject to change at any time. If your Memory Maker account is not connected to your My Disney Experience app, this is where you’ll link it. PhotoPass cast members can be found throughout Walt Disney World property, but if you have trouble finding someone, the “Find Photographer” tool will show you directly on a map where they are located. In order for you to connect the PhotoPass photographers photos of you, you’ll need to have them scan either your MagicBand, an RFID Card connected to your account, or your can have them scan the PhotoPass Code in the Link Photos section of the app. This code will link those photos to your account automatically. Here Disney promotes something that they are excited about! That means it can be information on something as big as an entirely new land or it could be something as small as them highlighting a bar or restaurant on Walt Disney World property. The itinerary page lists a day-by-day breakdown of your Walt Disney World vacation, with information on FastPass+ selections, your dining reservations, showtimes and entertainment, and meet-and-greet opportunities. This page is one of the simplest ways to plan out each day of your vacation! Here is where you can refer to your reservations and tickets, this includes your hotel reservations, dining reservations, FastPass+, and your Memory Maker package. 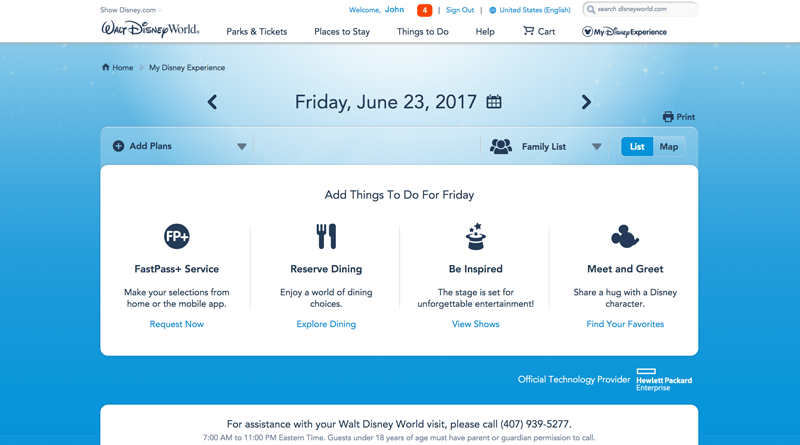 If any of your reservations or tickets are not showing up this is where you can link them to your My Disney Experience. 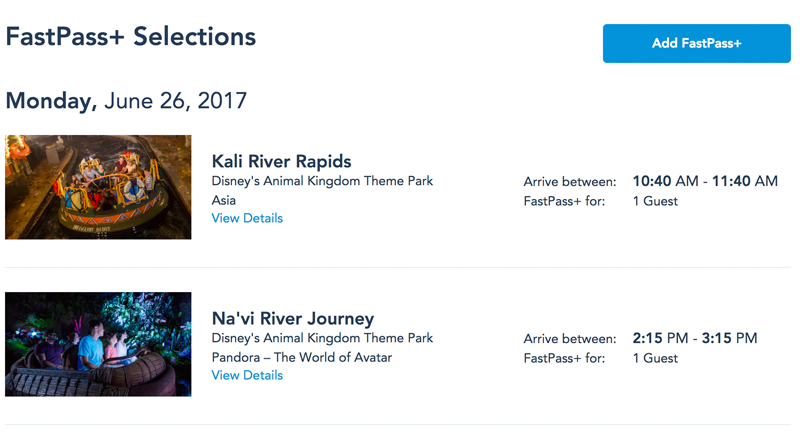 Although you can view your FastPass+ selections in the “Reservations and Tickets” page, the FastPass+ page is where you can actually make changes to existing selections and make new FastPass+ selections. It is important to make FastPass+ selections as soon as possible because many of the popular attractions will run out of availability. For more information on FastPass+, click HERE! In the My Profile page, you’ll find your personal information and account settings. Here you can make changes to how you sign in, what your security questions are, your contact information, how you prefer to be contacted by Disney, your payment methods, and a list of your memberships and annual passes. 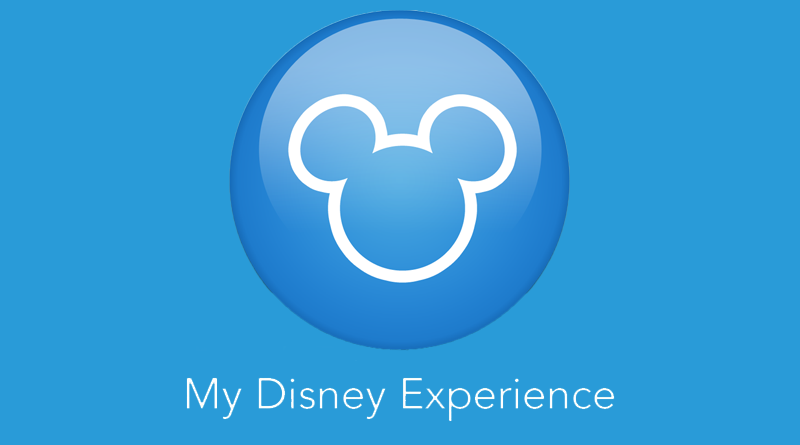 Unless you are visiting Walt Disney World by yourself, you’ll have friends and family that will be linked to your My Disney Experience account. On the My Family & Friends List page, you can link to another friend or family members account, you can see who is connected to your account, and whose accounts you manage. Here you can find all of the MagicBands, and RFID cards that are managed under your account. You can also deactivate a lost or stolen MagicBand here, and if you find said MagicBand, you can reactivate it here as well! When navigating My Disney Experience, while planning your vacation, you may come across something that peaks your interest. Restaurants, attractions, entertainment options, a VIP tour, and so much more can be added to your Wish List. Your Wish List will save intriguing options for things to do on your Walt Disney World vacation. This is a great tool to remember all the amazing experiences you researched before your vacation. Annual Passholders are fortunate enough to have special benefits. If you are an annual passholder, this page is extremely important to see what limited time offers, special events, and annual passholder discounts are going on. All of the photos and videos that were taken by Disney PhotoPass on your Walt Disney World vacation will be connected and listed on this page. Here you can download and share the best pictures from your trip! Photos are organized by theme park, and by date! Here you can even watch a slideshow of all the photos from your vacation! In case you missed buying something in the Disney Parks you can visit this page to order the items you’ll only find in the theme parks. This will send you directly to the Shop Disney Parks page.